eraj is using Smore newsletters to spread the word online. What will Cananda be like in 2060? We all know what Canada is like right now and what the death rate and birth rate probably is at the moment. 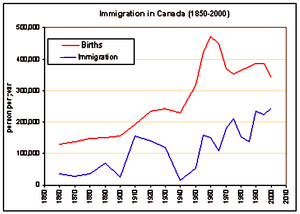 We also know the past ones because of the past population pyramids, flow of immigrants and First Nations. What will happen to the first nations in the future, 2060 maybe. What about the flow of immimgrants? I'm going to tell about what Canada in 2060 will be like by using the knowledge and websites of what I have for this present time. 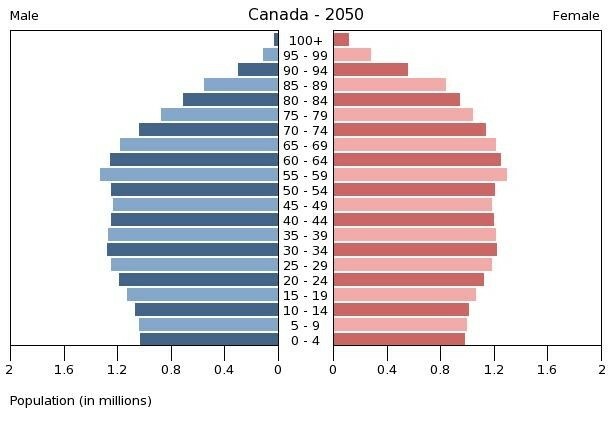 Judging by the graph for Canada 2014, its the closest to 2060 that we know of, so I can guess the 2060 demography. For the birth rate, I think that a good amount of children are bieng born, not too many and not too less. Though, at the moment, women are giving birth to children in a later age or aren't even giving birth at all. Why? Nowadays, women have more rights and are able to work. Women will always have rights. the population for children may go down a little abit from time to time but that's not as much of a problem. The good thing about this is that teachers are going to be able to teach an appropriate amount of children. For the death rate, there is a low death rate for 2014 which means, judging by the population pyramid, it may be lower. Not many people will be in there hundreds. So I think that the death rate won't be as much but the birth rate will be pretty good. Many people are immigrating during this time. There are business/economic immigrants, family immigrants and refugees. At the moment, people are immigrating because of war. Lots of people will come here because Canada is a country of peace and is also a first world country. Canada excepts many refugees. Lots of people immigrate to Ontario, Quebec and some parts in Calgary. Another thing is that since people come because Canada is a first world country, lots of other countries are developing the same techonology or maybe even better. Some people may even want to go to that certain country. I dont think there will be as many immigrants in Canada 2060 but there will be a certain amount, mainly of refugees and economic. 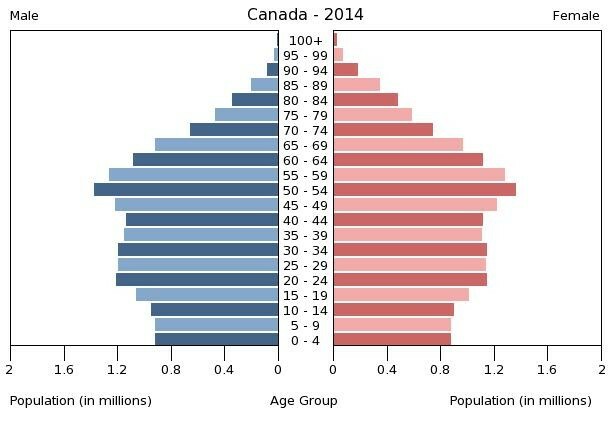 People predict that Canada's population pyramid in 2050 may look like this. They used old and previous population pyramids to help find information on this. 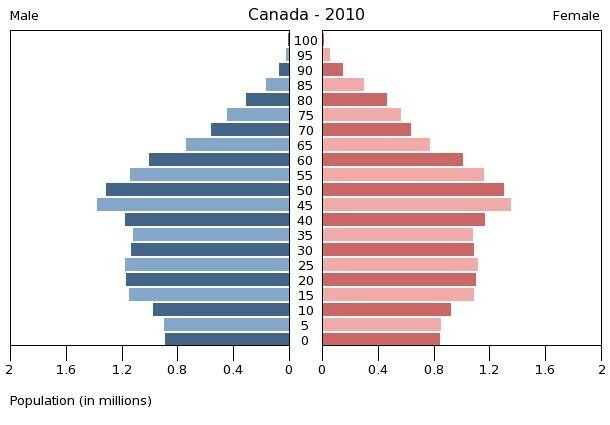 This is the population pyramid for Canada 2010. By using these kind of graphs, we can determine what Canada's population will be like in 2060. What will happen to the First Nations? At the moment, the First Nations are in the Northern part of Canada. Since more immigrants have been coming, more first nations are being put in the North. They're put in the North because the First Nations are known for being good with the cold. Even though many immigrants are coming, all the First Nations are being pushed into one small space. Judging by the third graph above, many immigrants are coming now and the First Nations might not be able to even stay here so they may have to leave the country. Also, since they're put in the North, its not fair becuase they're forced to stay in the cold. Some still are in Ontario or Saskatchewan and other provinces but most are in the North. I don't think there will be many First Nations in Canada 2060. How will my life be different in the year 2060? In the year 2060, I will be at the age of 59. My parents will probably be in their 80's or 90's. I think, by then, technology will be a bit more advanced. When my parents were younger, they didnt have much technology and later on in their life, countries were developing more technology. For example, the motorola cell phones and then the old nokia cell phones, later came the blackbery cell phones which lead to the the touch screen cell phones. My parents saw that technology becoming more advanced and more common. From buttons to touch sreen, passwords to thumb sensors. 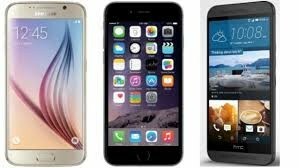 The pictures below show what the old phones were like. What was the change like over time? advanced techonology. I personally think that technology will be more advanced in 2060. 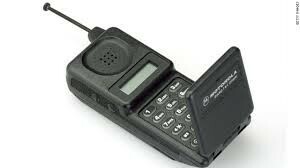 These were one of the first cell phones. 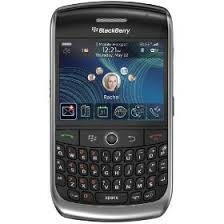 These were the secong generation of cell phones. This was made after the motorola cell phone. 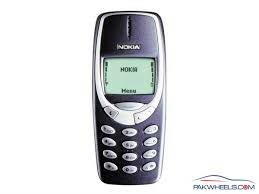 The third generation cell phone. When this was made, everyone had went crazy over it, wanting to buy them. In the end, I hope you've learned about what Canada 2060 will be like and how much more developed it may be. I made this based on my knowledge of Canada and what i know now about Canada.